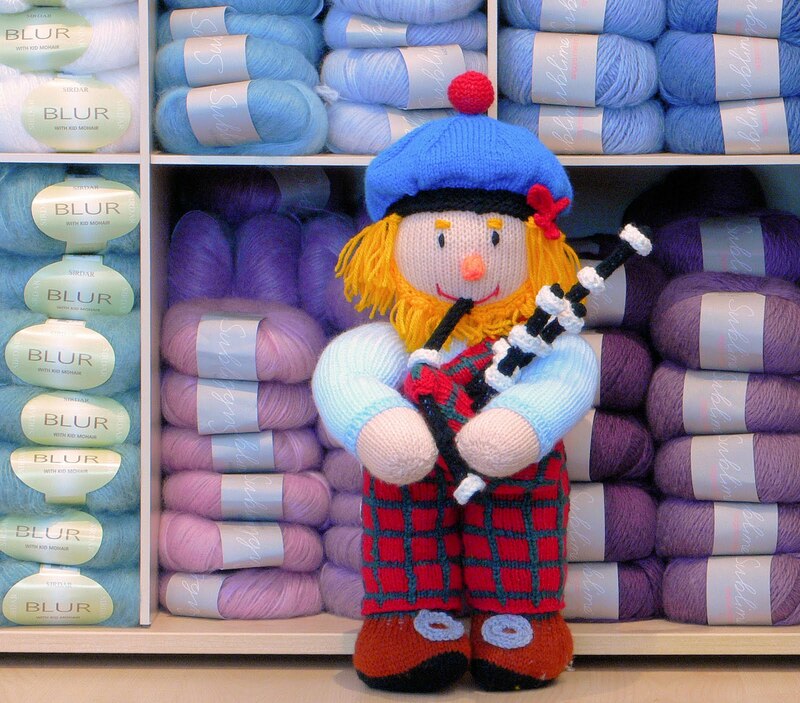 We've had a lot of tourists in our Edinburgh branch recently and they can't get enough of our Great Uncle Angus doll with his little bagpipes. This was knitted by Lily from Jean Greenhowe's MacScarecrow Clan booklet. Our overseas visitors come looking for Scottish yarn to take home as souvenirs for friends and family. We always recommend the Rowan Scottish Tweed as we'd all love to receive this as a present ourselves!